Our mothers are there for us in myriad ways, big and small; instead of the usual flowers or jewelry, treat your mother to something special this Mother’s Day to show her just how much she means to you. A study from San Francisco State University concluded that happiness comes from experiences rather than possessions so, while the flowers are lovely, what Mom is more likely to remember is the time you spent with her to celebrate the day. To give mom a truly memorable gift, and one that will continue making her happy once the day is over, give your mom an experience to enjoy together. At Kiss N’ Makeup, we want to help you make your mother feel like the wonderful, beautiful woman she is. 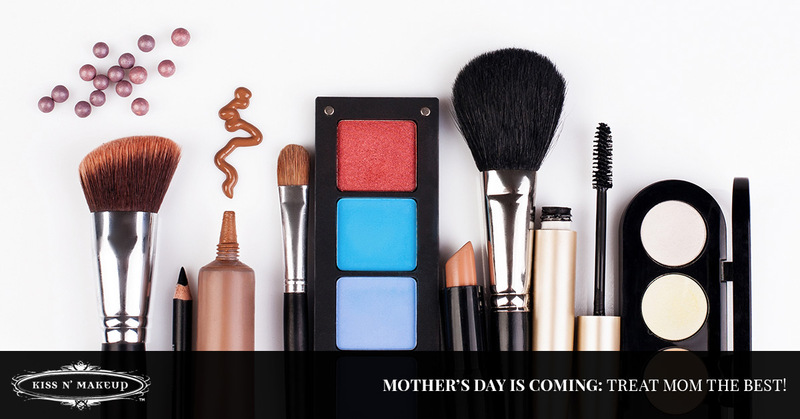 Depending on your Mom’s needs, we suggest a couple of different options: A makeup lesson or a pampering makeup application. If your mother’s makeup look is stuck somewhere around 1982, it’s time for a 21st-century look to complement her beautiful warm-hearted personality. Give Mom the gift of a personalized makeup session with one of our skilled makeup artists. We will discuss everything from lifestyle to levels of effort to design the right look for your mom. Then, we will show her tips to brighten and refresh her look for everyday and formal affairs. Remember, it’s all about creating lasting happy memories, so pick something you and Mom can do together! In order to make her feel truly special, schedule a makeup application for the two of you to enjoy together! At the end of the one-hour session, you’ll both feel and look beautiful and ready for a brunch, the theater, or a shopping adventure. This Mother’s Day, make sure your mom feels as special as you know she is. 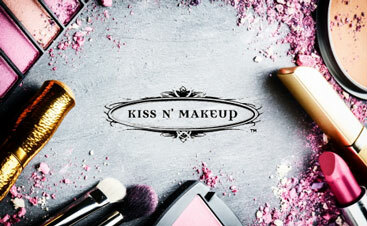 Schedule a pampering makeup session with one of the expert makeup artists at Kiss N’ Makeup to treat your mother to a special day she’ll remember. Be sure to schedule soon; our calendar books up quickly.